Photographic and typographic. Photographic image of two men either side of a door. Line drawing of dominoes. Associated Production: The Nine Night. 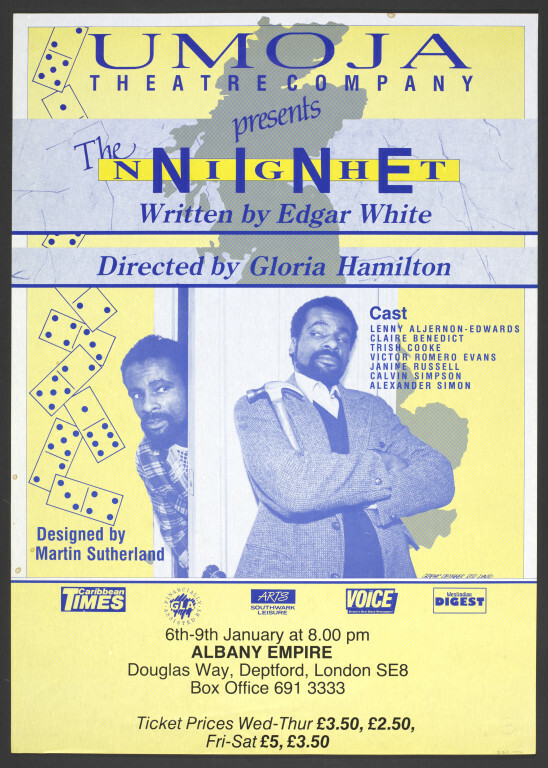 Playwright: Edgar White. Director: Gloria Hamilton. Designer: Martin Sutherland. Actors: Lenny Aljernon-Edwards, Claire Benedict, Trish Cooke. 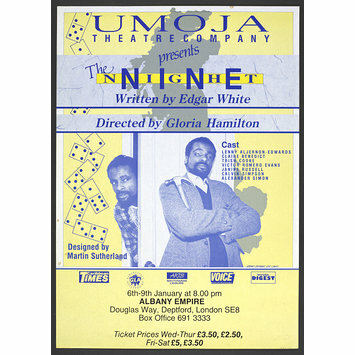 Umoja Theatre Company. Albany Empire, Deptford, London. 6.1.1987. Performance category: drama. This production was financially aided by GLA (Greater London Arts).